Leisure and business travellers can relax and enjoy Hai Phong in one of our 176 stylish guest rooms and 57 fully equipped serviced apartments decorated to signature Mercure standards. Most rooms provide a stunning view over the city with meal packages to suit all guests. Mercure Hai Phong has 6 meeting rooms, 1 restaurant offering Western, Korean and Asian cuisines in BBQ and buffet style, 1 bar, 1 Spa & Fitness Centre and a crystal clear rooftop pool. Perfect destination for business and leisures trips. Variety of rooms with full modern equipments and artistic design. The cuisines are created by talented Chefs with enthusiasm and care. 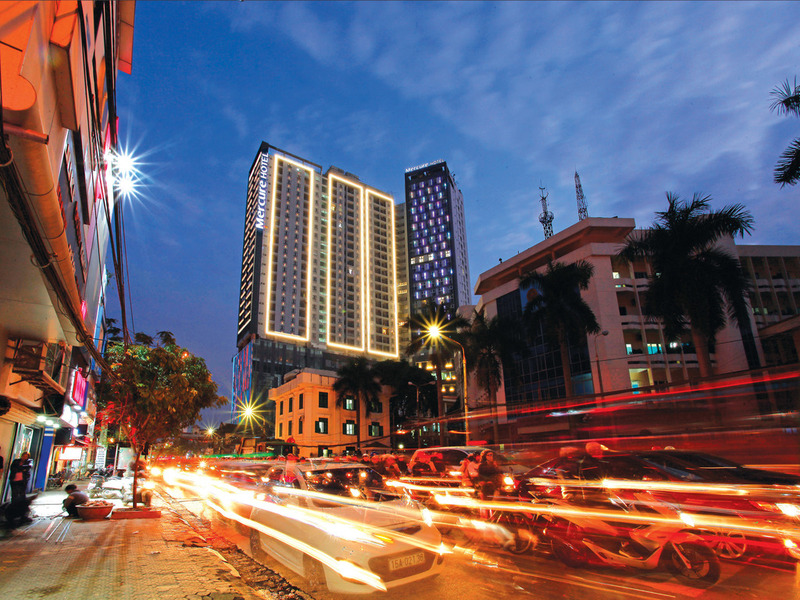 Mercure Hai Phong offers 176 stylish guest rooms and 57 fully equipped serviced apartments. Most rooms feature stunning views of the city. Guests can begin their day with a varied buffet breakfast featuring barbequed dishes, exquisite seafood and fresh garden vegetables. Our sumptuous cuisine is perfectly presented & crafted with a flavor that will make your dining a sublime experience. Enjoy a cup of coffee or delicate tea at our Lounge. Our experienced and talented Baristas will delight you with their creative beverages.